one of the scenarios is happening while the systems are connection via VPN. You encounter this problem only when the first connection from a client to the ePO server takes place over a VPN connection. If the computer's first connection is via a Local Area Network (LAN), the correct Media Access Control (MAC) address is added to the table. When a computer communicates with the ePO server via VPN, it uses the VPN virtual computer's MAC address and not its own actual MAC address. This VPN MAC address is usually the same for all computers connecting through the VPN. ​Go to ePO console -> System tree, find the system -> go to system information, click more, you see the VPN MAC address collected from the client. Copy to a note the MAC Address and split the first six digits of this MAC address, for example 012SHAY4350E. Go to the database SQL of ePO server. 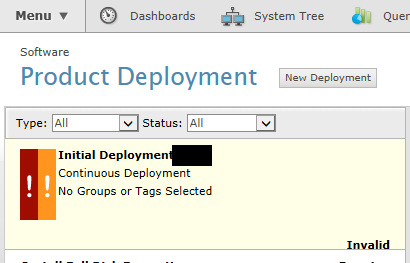 Product deployment task is in status invalid. Failed to delete product deployment task. ​This problem can be solve only by delete the task from the database of ePO. ​Recommended: Backup your ePO server and database. "DELETE FROM EPODeployment WHERE Name='My Project Name'"
EXTRA.DAT files is release when there is new and could be critical to your environment, When new malware is discovered and extra detection is required to detect and prevent against the threat. EXTRA.DAT files contain information that is used by VirusScan and other McAfee products to detect new malware. EXTRA.DAT file may be made available until the normal DAT update is released. Note: EXTRA.DAT files are valid for 30 days, after which time they will become disabled. Click on Choose file and choose the EXTRA.DAT file. Make sure you enable the EXTRA.DAT on your update tasks. error: DB server key check failed"
If you failed to login to ePO you will need to do the disaster recovery procedure. Failed to connect, error 10061 (no connection could be made because the target machine actively refused it). check from the McAfee Agent if it can communicate with the server. If there is no Network blocking, Uninstall the McAfee Agent, Restart the system and re-install the McAfee Agent. The following environmental requirements are necessary to successfully send an agent installation from the ePO 4.x or 5.x server to a client. The credentials used for the push (from the ePO server or remote Agent Handler) must have local administrative rights on the client. Additionally, you will need to disable User Account (UAC) in Windows to successfully push an agent from ePO. The McAfee Agent Installation does not require a restart. There is a problem with the network adapter of the ePO server. server, where all systems have read permissions. The following files are extracted to your local drive. Copy the extracted files to a shared UNC location specified in siteinfo path. 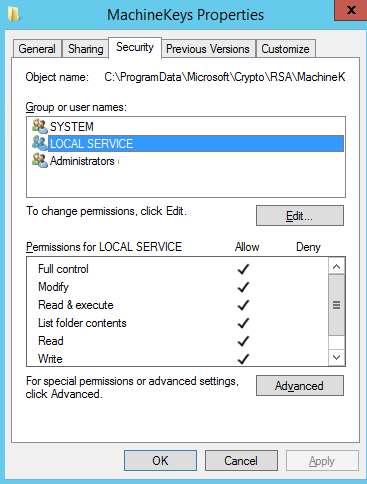 Click Computer Configuration -> Policies -> Software Settings. Right-click Software installation, then click New -> Package. When prompted, browse to the shared UNC path, then select MFEAgent.msi.